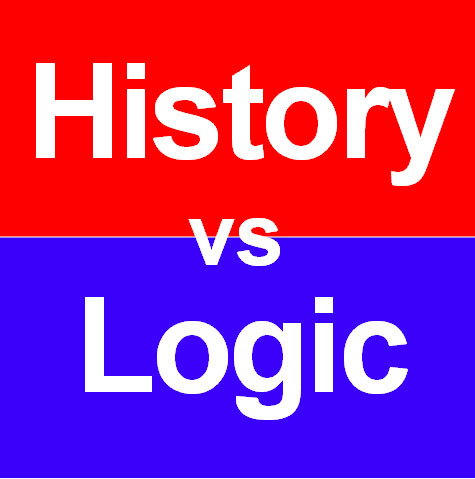 When history conflicts with logic, history is the loser. Marketing managers who plan logically often make many mistakes. They should study history instead. In logic, “one plus one” equals two. That’s not true in marketing. In marketing, “one plus one” never equals two and often equals much less. Sometimes very much less. And the way to prove that principle is to study history. The new brand was a big success. In 1994, just four years after its introduction, the average Saturn dealer sold more vehicles (960) than any other brand. The average Toyota dealer that year sold just 841 vehicles. Ford, 746. Honda, 677. Nissan, 661. And Chevrolet, 553. In its first full eight years, Saturn’s average annual sales were 251,231 vehicles. In 1999, when Cynthia Trudell was president of Saturn Corp., the company launched a second model, the Saturn L, a larger, more expensive sedan. Trudell is betting that she can double Saturn’s sales, reported Automotive News in its April 5, 1999 issue, to about 500,00 units within a couple of years. It never happened. Over the next nine years, Saturn never equaled its high-water mark, the 286,003 vehicles sold in 1994. With two models, the Saturn S and the Saturn L, average annual sales in those nine years were 240,453 vehicles, a decline of 4 percent from the years the company sold only the Saturn S.
But that’s not the whole story. The overall market had increased substantially, so factoring that in, Saturn sales with two models were down 14 percent as compared with Saturn sales with one model. By the year 2008, Saturn was selling five models, but the average Saturn dealer sold only 440 vehicles that year, compared with the 960 vehicles the average Saturn dealer sold in 1994 with just one model. The following year, General Motors went bankrupt and discontinued the Saturn brand. Now, do you suppose the automobile industry has learned anything from the Saturn saga? Of course, not. Today, Chevrolet sells 20 models. Ford sells 15 models. Etc. What should Saturn have done? The same thing Henry Ford did. In 1909, against the advice of his sales force, Henry Ford made the decision reported in his book, My Life & Work: I announced one morning, without previous warning, that in the future we were going to build only one model, that the model was going to be Model T.
In the next 18 years, Ford built 15 million Model T cars, the longest run in history until the Volkswagen Beetle surpassed it in 1972. Well, you might be thinking, there was not much competition in those days. Not so. There were more automobile brands on the market then there are today. Some 52 major brands, including Buick, Cadillac, Chevrolet, GMC, Oldsmobile and Packard. In those 18 years, Henry Ford focused his manufacturing and sales efforts on the Model T, gradually improving the model each year and reducing its price. In equivalent dollars, the price of the Model T in 1926 was about 65 percent less than it was in 1909. Focus on one product. Focus your design efforts on improving that one product. Focus your manufacturing efforts at reducing the cost of that one product. And focus your marketing efforts on that one product. And then when the opportunity presents itself, launch a second brand and repeat the process. What happens when you don’t focus your brands? General Motors is a good example. In 2005 and 2007, General Motors was the largest automobile manufacturer in the world. In 2006 and 2008, General Motors was the second-largest automobile manufacturer in the world. In those four years, General Motors had revenues of $730.1 billion, but managed to lose $82.1 billion. The following year, General Motors went bankrupt with $82.3 billion in assets and $172.8 billion in debt. How could a company the size of General Motors go bankrupt? Easy. Just follow the laws of logic and ignore the laws of history. Logic: If you want to increase sales and profits, introduce more models, more varieties, more distribution, more of everything. History: Nothing works better in marketing than narrowing your focus. What should General Motors do? What’s the most powerful position to own in the marketplace? Leadership. When you’re the leader in a category, you can often maintain that leadership for decades to come. Kleenex has been the leading pocket tissue for 91 years. Hertz, the leading car-rental company for 94 years. General Electric, the leading electrical company for 125 years. Lipton, the leading tea for 127 years. Coca-Cola, the leading cola for 131 years. Jack Daniels, the leading whiskey for 151 years. So what do General Motors’ brands (Chevrolet, Buick, Cadillac and GMC) lead in? Nothing. Ford leads in trucks. Toyota leads in sedans. Hyundai leads in inexpensive vehicles. Mercedes-Benz leads in expensive vehicles. Jeep leads in SUVs. Prius leads in hybrid vehicles. Take trucks, for example. Ford has led Chevrolet in trucks for the last 31 years, selling 52,437,934 trucks to Chevrolet’s 42,233,584 trucks. Will Chevrolet ever overtake Ford in trucks with its current strategy? (Like a rock.) Unlikely. But in the last 31 years, General Motors’ other truck brand, GMC, has sold 13,457,019 trucks. So we would combine Chevrolet trucks with GMC trucks (55,690,003 sold over the past 31 years) and then give the combination a new brand name and a new strategy. Silverado: America’s leading truck brand. This would have the added advantage of narrowing the focus of the Chevrolet brand and hopefully give the brand a chance of overtaking Toyota in passenger cars. Toyota was the first Japanese automobile brand in the America market, starting with trucks in 1959 and adding passenger cars in 1966. Honda arrived with passenger cars in 1974. Twelve years later, in 1986, Honda outsold Toyota in passenger cars: 640,646 to 609,180. That was the opportunity to launch a marketing campaign with a simple slogan: Honda: Largest-selling Japanese car. From 1986 to 1992, Honda and Toyota were neck-and-neck in passenger car sales, each brand selling some 4.6 million cars in those seven years. Then Honda made a fatal mistake. In 1993, Honda introduced its first truck model. And any student of marketing history knows what was likely to happen next. The Honda brand was likely to go downhill. And so it happened. Last year, Toyota outsold Honda in passenger cars by 29 percent. And in trucks by 57 percent.